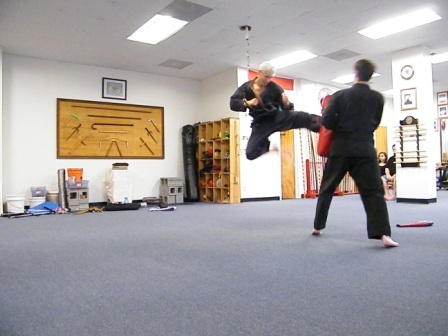 For over 39 years we continue to be a semi-traditional Martial Arts school focused on providing the techniques necessary to react correctly in real world situations, not competitions. We work with our students to identify their personal goals and do our part in enabling the achievement of those goals. Our program will improve the students fitness level and mindset as we provide them the tools necessary to take action in any scenario while instilling confidence, character, and integrity. 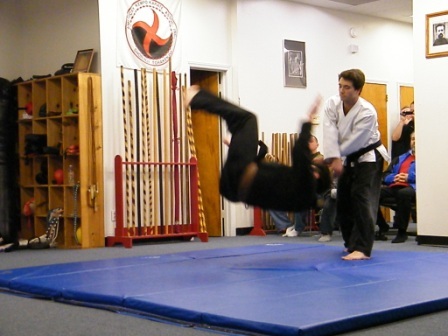 The Academy of Kempo Karate is the premier life protection school in the Charlotte area. In operation for over 39 years, the Academy of Kempo Karate specializes in preparing students to react correctly in every real world situation imaginable. While we do not focus on Martial Arts as a sport, our program does increase the student’s fitness level through rigorous physical training. We have programs designed to accommodate all levels of experience and age groups including separate kids and adult classes. Our kids programs begin as young as age 4 where we concentrate primarily on movement and mechanics while focusing on building confidence, integrity, and a respectful character. These programs progress in difficulty as the child gets older, gradually allowing their training to become more like the instruction provided to our adults. For adults we offer a very extensive program that is sure to challenge you physically and mentally while you gain insight into yourself and learn invaluable life protection skills and techniques. Contact us or come in for a visit. We would be happy to show you what we have to offer and answer any questions you may have. Step up to the challenge! 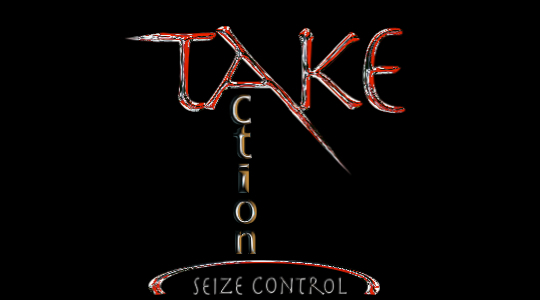 We want to meet you and get you started on your path to taking action and seizing control in all areas of your life! Copyright © 2012 American Kempo Karate Association All rights reserved.